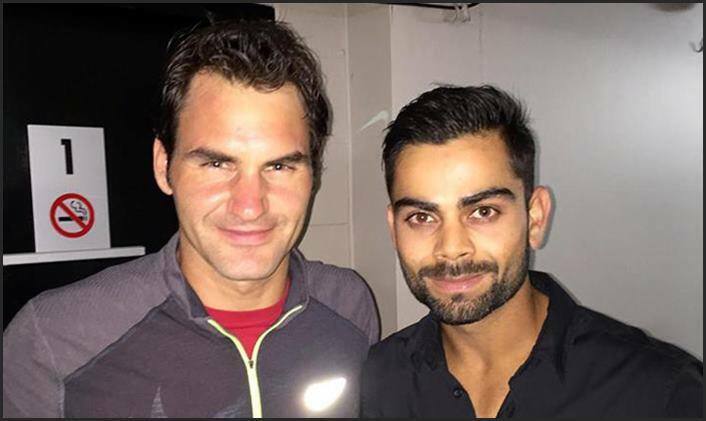 Indian cricket captain Virat Kohli is the best batsmen in the world and has a huge fan following across the world but on meeting tennis legend Roger Federer, he turned into a fanboy himself. “Well, amazing. I have met him a couple of times before as well and the fact that he remembered was like wow!. I mean he told me that he met me in Sydney a few years back when he played an exhibition game and I was like wow! he remembers me. I can’t explain that feeling,” Kohli told bcci.tv. “I have seen him play since I was a child. He is not just a great tennis player but a great man as well,” he added. Kohli, who has scored 20 centuries over the past 18 months in all forms of the game, asserted that he prefers to focus on the team’s success rather than personal milestones. “I don’t necessarily go out there thinking today I am going to get the three-figure mark. That thought never crosses my mind. The only feeling I have in my heart is that India needs to cross the line and if I am the guy who is in that position to be able to do that for the team I’l keep going on,” he added. “I have changed my entire lifestyle over the past four years in terms of my diet, sleep patterns, just planning the whole week out. I don’t believe in taking anything for granted,” the Delhi batsman said. “I want to be able to do what I do to the best of my abilities. I want to do it with quality till the time I play this game,” he added.